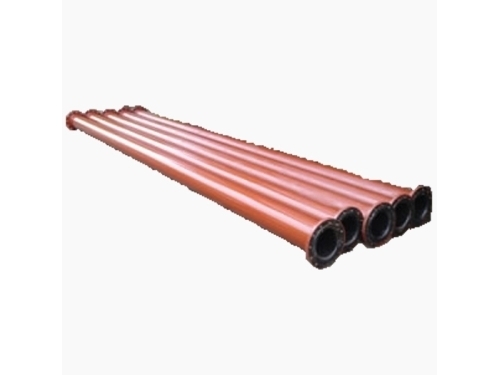 Steel and rubber composite pipe uses steel or hard material in the external framework. Inside, it is lined with anticorrosive, wear resistant and temperature resistant rubber. Thus, wear resisting composite tube has the properties of both metal and rubber. 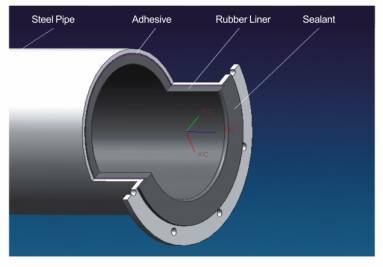 The physical and chemical properties of rubber can well protect pipe from impact, abrasion, and so on. Currently, steel and rubber composite pipe is broadly employed to transport slurry and liquids with particles. 1. Steel and rubber composite pipe is suitable for slurry transportation of raw ores, ore concentrates and tailings. 2. It is available in ash conveying pipeline of coal-fired power plants. 3. Wear resisting composite tube can also be able to transport liquids with solid particles in chemical system. 1. Steel and rubber composite pipe enjoys long service life, high shock resistance and antiscale. 2. The rubber has features of anti corrosion and abrasion resistance, greatly reducing costs of users. 3. Wear resisting composite tube can be working within a wide temperature range. 4. 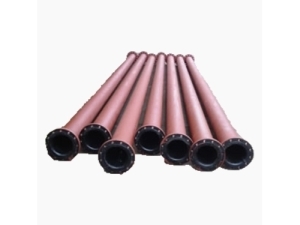 Steel and rubber composite pipe can be connected in multiple ways, thereby quick and convenient. And the connection is reliable. 5. It also boasts energy conservation, good lubricity and low running resistance loss. Therefore, operating cost can be reduced. Steel and rubber composite pipe mainly include steel pipe, adhesive, rubber liner and sealant. 2. Wear resisting composite tube should be delivered within 30 to 60 days after the receipt of down payment. Field installation and maintenance can be provided basing on that the purchase orders of steel and rubber composite pipes reach a certain amount. Founded in 2005, Jiangxi Naipu Co., Ltd. is one of the professional manufacturers of mining equipments in China. The company’s main products include rubber liner, steel and rubber composite pipe, flotation stator, etc. These products win great popularity among China and foreign countries as well, like Russia, Australia, Brazil, South Africa, etc.